Salus Training Services aim to provide a wide variety of health and safety training courses in a nmber of diverse sectors. All of our programmes are of high quality standard and at affordable prices. 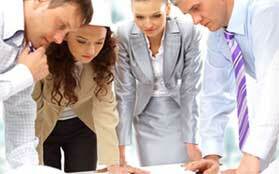 Salus privide training for local authorities, other organisations and members of the public. Salus Safety Consultancy Services can fulfil the Role of PSCS which involves the management & coordination of all Health & Safety issues at the construction phase and PSDP in compliance with the Construction Regulations 2006-2010. This Month CoursesYour Tried And Trusted Safety Training Provider - Salus Safety Training Services - Book A Training Course Online Today. Salus Safety Training Services is a professional training company offering an extensive range of Safety Training Courses and Programmes to it’s clients. Salus is a registered training provider and works within all industry sectors delivering effective training solutions to companies ensuring that their Health and Safety regulations are met. Salus fully qualified team of consultants provide a comprehensive high quality safety consultancy services which incorporates many aspects from advising customers on their Health & Safety issues and policies. Salus Consultancy Services carry out a safety auditing services which will ensure that all best practice our adhered to. Salus Traffic Management Services are one of the leading providers for temporary traffic management solutions to roadworks contractors and local authorities. Salus offer a professional high quality, safe traffic management schemes at competitive prices. 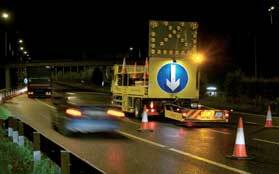 All Salus Traffic Management operators are fully trained to CSCS standard. This Programme is designed for operatives who are required to work in the proximity of roadwork’s, in both rural and urban situations, so as to understand the risks to their own safety from passing traffic and the need to avoid creating dangers for road users. The training is mandatory under the safety, Health and Welfare at Work (Construction) Regulations 2006. On successful completion a CSCS Card and FETAC Certificate will be issued. Or can be conducted on your premises.